In 2013, Noelani opened her namesake boutique, Noelani Hawaii, in Haleiwa, just minutes away from her home on the North Shore. So who better to clue us in on the healthy haunts in this historic town? 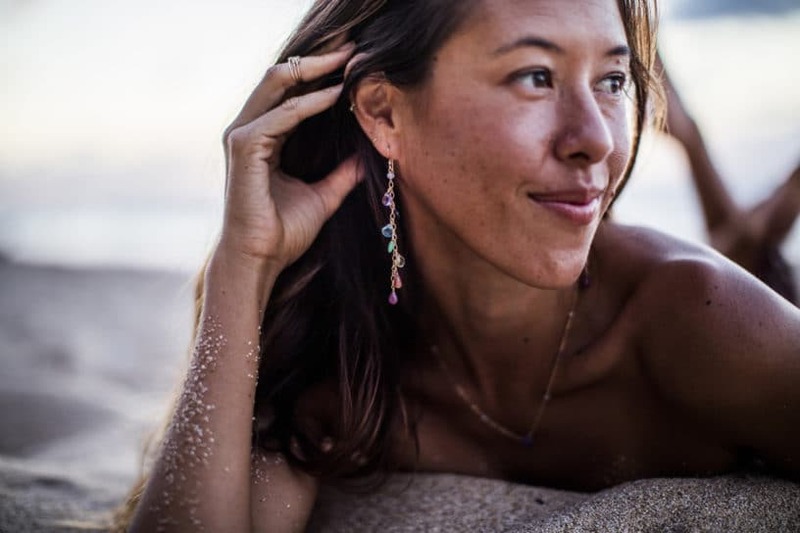 Below, Noelani gives us the inside scoop on her brand and shares some of her favorite spots on the North Shore of Oahu. WHAT WAS THE INSPIRATION BEHIND NOELANI HAWAII? There is so much inspiration behind this brand—from the beauty of nature and all of the love that exists in this world. It started as a way for me to share my art in the form of my jewelry designs, but now goes much deeper. The brand is here to empower, inspire and remind women about the beauty that lives and thrives within each of our hearts, and that light that we each shine is a gift to the world. Through all of my offerings—whether it’s my jewelry; my music; the clothing and books in my boutique; yoga classes and retreats; women’s circles or even a conversation—the intention of this message is the same: to raise vibration of the feminine energy on this planet and create more balance for the healing of our planet. WHAT DO YOU LOVE MOST ABOUT THE NORTH SHORE? The ocean lifestyle and small community vibe. WHERE DO YOU GRAB YOUR MORNING COFFEE? I don’t drink coffee! I’m more of a tea drinker and I like the Coffee Gallery for a ginger tonic. WHAT’S FAVORITE PLACE FOR DINNER? My honey is an amazing chef so I love his home cooked meals! But if we are eating out I love The Elephant Truck thai food! FAVORITE SHOPS INCLUDE…My own of course! It’s fun owning a retail shop because I go shopping all of the time to buy the things I love. I also love Kai Ku Hale because they feature tons of local artists and have a great variety of Hawaiiana stuff as well. And I visit Celestial Health Foods oftenl, as they have a great selection of organic and vegetarian foods. BEST HIKE: I’m honestly more of an ocean woman then a mountaineer. But our family loves the hike behind Sunset Elementary and my son and I love to scale the banyan tree back there. He always gets me playing like a child again—we love climbing on the trees like monkeys together. BEST BEACH: My personal favorite is Ehukai. When the sandbar is in action, I’m in bodysurf heaven. Barrels for days. HIDDEN GEM(S): I don’t know if I can say, that’s why they’re hidden, and that’s what makes the North Shore so special. Gems are rare and I’ll keep them that way.